An Evening Lecture and Discussion with Peter Pramataris, Ph.D.
Do you work with students who are struggling academically in private and public schools? If the underlying problem is not identified within the right time frame and with the appropriate methods, parents, students, and teachers face the risk of letting students fall through the cracks. For parents and even for professionals, it is an overwhelming process to navigate the sea of diagnostic labels. Whether you are a teacher, psychologist, speech-language therapist, special educator, learning specialist, occupational therapist, administrator, tutor, or a parent, by understanding the history of learning disabilities, language disorders, and attention disorders (including executive functioning), we can best help and advocate for students who are struggling with their academics. 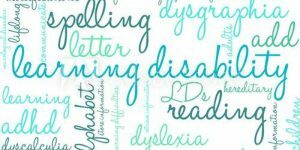 This presentation will teach you the most current thinking for how licensed professionals diagnose learning disabilities, language disorders, and attentional disorders, even if schools don’t accept these terms. No matter where you work, a common evidence-based language amongst ourselves will truly earn the education every student deserves. By the end of this lecture, you will become a better advocate for these students! Dr. Pramataris maintains a private group practice specializing in the neuropsychological assessment of children, adolescents, and young adults with learning and attention difficulties. For over a decade, he was the Director of the Center for Attention and Learning at Lenox Hill Hospital, where he oversaw the neuropsychological assessment services and post-doctoral training program. He serves as an advisor to several organizations, including the New York Neuropsychology Group, the Lang School, and AbleTo, a technology-enabled behavioral health company that he co-founded in 2009. The event will be taking place in Marc A. Scorca Hall at OPERA America. OPERA America is only the venue for this event. They are not able to answer your questions regarding the event. Beverages and snacks will be available at 6:30 pm in the lobby before and after the event.